“Before the Flood,” a documentary on climate change produced by Leonardo DiCaprio, recently debuted on the National Geographic Channel. In the film, DiCaprio, a newly designated United Nations Messenger of Peace, sounds the alarm about global warming and other environmental ills. Focusing on corporate and political interests, the film aims to spur individual changes in behavior and reduction in carbon footprints. Americans constitute five percent of the world’s population, but consume twenty-four percent of the world's energy. On average, one American consumes as much energy as two Japanese, six Mexicans, 13 Chinese, 31 Indians, and 370 Ethiopians. Already, one part of Hawai‘i’s biodiversity that has been negatively affected by a changing environment are coral reefs. However, there is still hope. Agencies such as the National Oceanic and Atmospheric Administration (NOAA) have marine scientists around the world collaborating to help. Due to the partnership with NOAA and UH Hilo’s Marine Option Program (MOP), many students have been able to participate in significant environmental research. 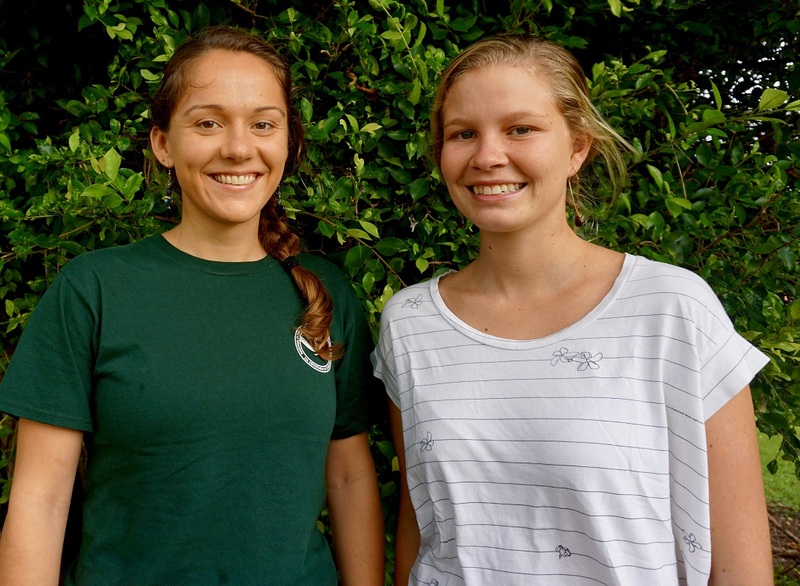 Students Ashley Pugh and Kailey Pascoe are just some of the MOP participants that were selected for the prestigious Pacific Reef Assessment Monitoring Program (RAMP) cruise. It is not often that we think of coral reefs as producers of oxygen, but in fact they are often deemed “rainforests of the sea.” As some of the most biodiverse ecosystems on earth, they occupy only 0.2 percent of the ocean and provide habitats for over 4,000 species of fish. From a financial standpoint, reefs have an annual global economic value of $375 billion. In recent years, however, coral reefs are in trouble. The average temperature of tropical oceans have increased by 0.7˚ C which, combined with natural variations of ocean temperatures, have caused extensive coral bleaching around the globe. Even in Hawai‘i, this is a problem. In late September and early October 2014, Hawai‘i experienced a huge spike in ocean temperatures; coral bleaching was seen across the state. In addressing such crises, research cruises such as NOAA’S RAMP cruise offer data to be collected from scientists and select marine science students. From monitoring the health or recovery of the reef and the effects of climate change, they help collect valuable scientific data. Ashley Pugh, one of the MOP students, helped conduct scientific research on local corals. Scientists have many ways of carrying out surveys, but most coral reef studies involve undertaking transects - surveys along a straight line - at various depths across the reef, in order to gather detailed information from different habitats. Divers will swim along transects in a given direction and will survey the reef at different points, marking each point using GPS so that the transect can be repeated to gather data over time. Completing the summer program - Quantitative Underwater Ecological Surveying Techniques (QUEST) 264 and 364 - was essential for preparing Pugh, she explained. As Pugh sees it, her previous knowledge of marine ecosystems was a key driver for her to pursue ventures like MOP and RAMP. Kailey Pascoe, the other MOP participant who spoke with Ke Kalahea, has a different perspective as a graduate student. Pascoe is enrolled in the Tropical Conservation Biology and Environmental Science (TCBES) program at UH Hilo; she shared her experience on a different RAMP cruise she completed with the Papahānaumokuākea Marine National Monument in August 2015. Born and raised in Hawai‘i, she knows well how corals have been adversely affected. Motivated to make a difference, Pascoe was ecstatic to be accepted into the program - especially to be diving for the largest U.S. marine monument. “The Hawaiian archipelago consists of an inhabited main Hawaiian Islands and a remote northwestern Hawaiian Islands (NWHI). 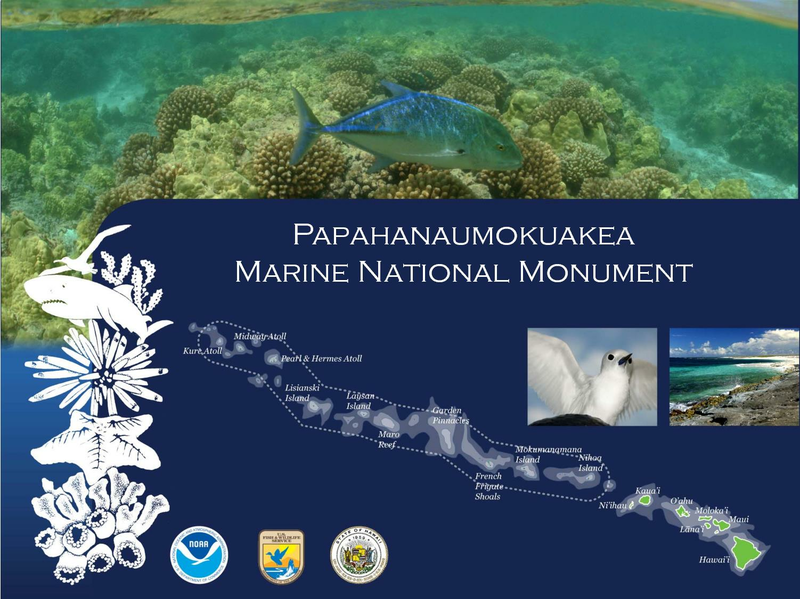 Papahānaumokuākea Marine National Monument was established on June 15, 2006, and as the single largest U.S. conservation, it encompasses the NWHI. Papahānaumokuākea Marine National Monument and NOAA’s Coral Reef Ecosystem Program (CREP) lead the Reef Assessment and Monitoring Program (RAMP). In which provides long-term monitoring data that supports ecosystem approaches to management and conservation of Hawaiian coral reefs. For the last 15 years, RAMP has conducted scientific scuba surveys through the research vessel. The NOAA ship Hi‘ialakai is a multipurpose research vessel conducting coral health, fish stock abundances, and maritime heritage archaeology surveys." Pascoe explained the value of working in MOP, which has seen many alumni work for various state and federal agencies, including NOAA. Pascoe’s experience was similar to Pugh’s; the days started off early, and there was much to do. Pascoe expressed her gratitude for being a part of this cruise; the experience allowed her to excel in research and make connections for possible jobs. The global warming alarm has already been rung. Resources are depleting and coral reefs are degrading. It is so often thought that the problem is too big to make a change. However, as individuals, even small actions can have huge impacts. Simple changes from switching to reusable bags and biodegradable plastics can have enormous benefits. Making the same changes can even impact species such as the corals that are in a crisis today. UH Hilo MOP students such as Pugh and Pascoe have made huge impacts in the field of marine science. Participating in the prestigious RAMP cruises, they were able to conduct surveys for monitoring benthic cover, coral community composition, size, damage, diseases, and species recruitment. There is hope for the environment as there are many citizens, scientists, and students like Pugh and Pascoe who dedicate their time today to help create a better future tomorrow.